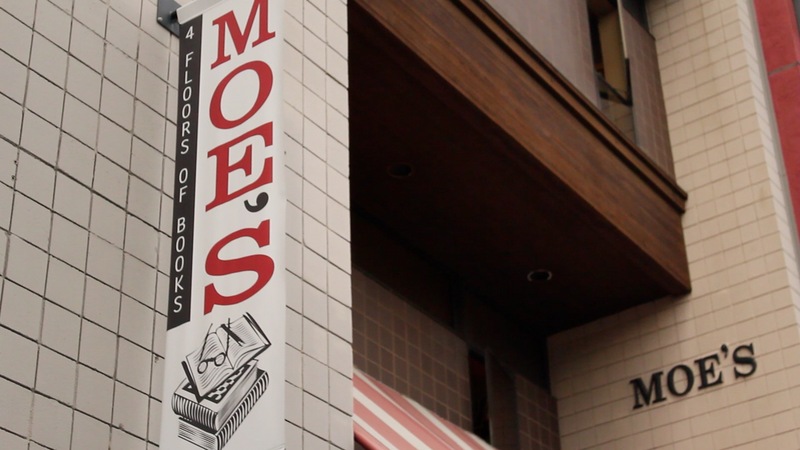 Since its inception back in the heyday of the Beatnik era, Moe’s Books has managed to become more than just a great bookstore–it has achieved the rarified status of a beloved landmark institution as well. Situated just four blocks from the University of California campus, Moe’s has managed to mirror the often turbulent and triumphant times that have come to epitomize all that is exciting and unique about Berkeley. 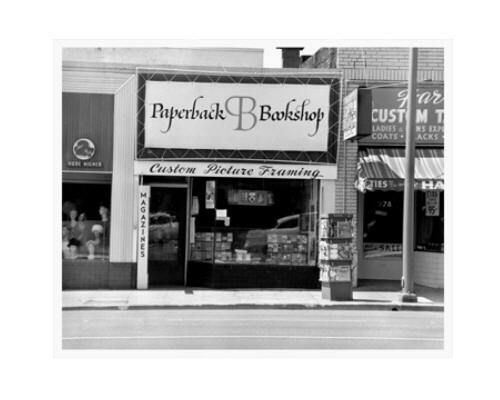 Founded in 1959 by Moe Moskowitz and his wife, Barbara, the original site of the store was a small shop on Shattuck just north of University Avenue. 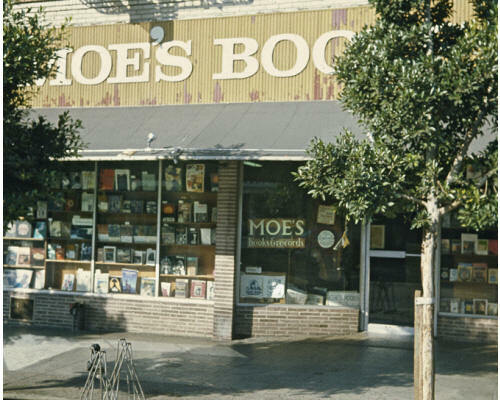 He moved the store up to Telegraph Avenue in the 1960s, right in the middle of the Free Speech Movement and the famous anti-war demonstrations that put Berkeley on the political map. Moe Moskowitz began a revolution of his own, one that altered the landscape of the used book business. He set policies assuring our customers of the highest prices paid for used books, and the staff was trained to keep the stock fresh, interesting, and of the highest quality possible. Moe’s was also one of the earliest online bookstores, establishing a prominent presence on the Internet back in the early ’90s. And Moe’s is not just about selling books. We have a very active reading series with very interesting people constantly dropping by. Recent readings have been held for Lawrence Ferlinghetti, Michael McClure, Diane di Prima, Jonathan Lethem, Dave Eggers, Barry Gifford, Bill Berkson, and dozens of others–and you are just as likely to find well-known authors in the audience as at the podium! Some of our best speakers are also our regular customers.